Colder weather is on the horizon. Is your home ready for winter? Freezing temperatures and snow can take their toll on your house, but you can avoid many household problems that can occur during winter by properly winterizing your home. Follow these steps and keep your eye out for propane specials in Greensboro, NC, that can save you money this year. Schedule furnace maintenance. The sooner the better on this one. HVAC companies tend to get busy performing furnace tune-ups in this time of year, so make your appointment now. Furnace maintenance ensures your system is in good shape and will run smoothly and efficiently throughout the winter. Have your propane or heating oil tank refilled. If your household heats with propane or heating oil, fall is a good time to make sure your tank is full. You definitely want to avoid running out on a cold winter night. Fall is a good time to find propane specials in Greensboro, NC, to help you save a little money on your heating fuel. Seal up cracks or leaks in your home. Insulating your home to keep the warm air in and the cold air out will go a long way in making sure your home stays comfortable, your furnace works efficiently, and you save money. Seal up cracks in the walls or around doors and windows. For best results you can have a professional fully inspect your home for air leaks and improve your insulation before it gets cold. Check the condition of your roof (or have it checked by a professional). If your roof has any weak spots or missing shingles, just one layer of snow can cause it to leak. Even a heavy frost might be all it takes for moisture to seep in. Your roof may also be letting cold air into your home and causing your furnace to work overtime. With experience, you can inspect and repair your own roof, but your safest bet is to have a professional roofer come out and take a look. They can make their recommendation for repair or replacement. Looking for the best price on propane this fall? 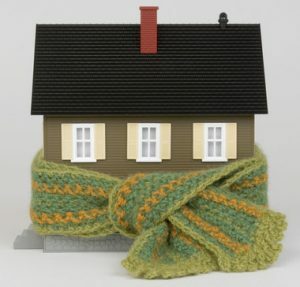 Hoping to save a little on your heating costs this year? Berico offers some promotional propane specials in Greensboro, NC, for new and existing customers that can make it more affordable to heat your home this fall and winter. New propane customers can enjoy their first 75 gallons of propane for free, as well as a free tank swap out. Sign up for automatic refills and get $20 off your next fill up. Refer a friend to Berico and get credits toward your services. And even without specials, Berico offers competitive prices on propane, heating oil, and other fuels as well as HVAC services like maintenance. Take advantage of these discounts and schedule a fall furnace tune-up and fuel delivery today. Call (336) 273-8663.